Имате въпрос към The Lakeside at Nuwarawewa? The Lakeside at Nuwarawewa е предпочитан както от пътуващите по работа така и от туристите заради качествения и удобен престой, който предлага квартал разглеждане на забележителности, култура, религиозни интереси на Анурадапура. Хотелът се намира на 2.9 km от центъра на града и осигурява достъп до важните места на града. С удобното си местоположение хотелът предлага лесен достъп до всички градски забележителности, които задължително трябва да се видят. The Lakeside at Nuwarawewa също така предлага много съоръжения за обогатяване на Вашия престой в Анурадапура. Този хотел предлага множество удобства, за да задоволи и най-изискания вкус. Като допълнение всяка хотелска стая предлага широка гама от удобства. Много от стаите са с телевизор с плосък екран, стаи за непушачи, климатик, бюро, минибар, за да удовлетворят и най-изискания вкус. Хотелът разполага с множество уникални възможности за отдих, като например открит басейн, градина. С перфектното си местоположение и несравними удобства, The Lakeside at Nuwarawewa е един чудесен избор в много отношения. So pleased we stayed here.. a nice respite from the 37 degree heat. Good old property inaugurated by the then Sri Lanka PM. In 1957. Great outdoors but watch out for snakes near lake area. Hire cycles to explore neighborhood. Laid back ambience invites you to relax though food quality and breakfast could do with some innovative cuisine. 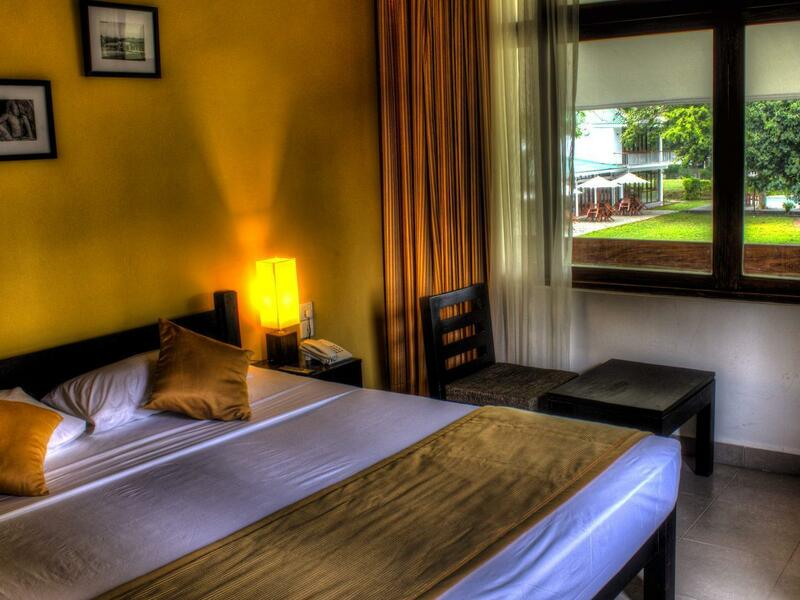 Good location in the Anuradhapura City, clean rooms and pleasant staff with very professional approach. Great location for Anaradhapura. Free bikes from hotel but check carefully before borrowing, mine was stuck in 6th gear! Thankfully no hills just slight inclines. Good comfy bed and clean room, if a tad ‘tired’. Had all the essentials but being lakeside location, cover up at dusk to avoid the mozzie invasion. Menu options a bit different and good range of food at breakfast. Location good but not value for money. There are rats on the ceilng moving around. L appartement est beau mais le séjour est gâché par une piscine aux eaux vertes,un nombre de transats extrêmement reduit et l impossibilité de les utiliser sur la plage. We were booked in to stay as part of a tour package and because I was sick we opted to stay on for 2 extra nights. When it came to staying the manager was so rude (no excuses the hotel had 4 other guests) that if I hadn't been so sick I would have gone to stay elsewhere. This place is called lakeside...I would be suprised if there are any rooms with a decent view of anything other than their garden. The western food is substandard but the Sri Lankan dishes are delicious. The rooms are comfortable and clean but they are definitely charging to much for this hotel in comparison with what is available in the surrounding area. Booked on the basis of the review found on Lonely Planet. But the reality was a far cry from my expectations. The hotel has been built 50years ago and it looks as if nothing has been changed repaired or maintained since. Terrible value for money. The room was dark with old furniture, bed linens worn out, the bathroom old and mouldy. Insects splashed on the walls, little frogs on the floor. We spent two nights here and dined once: the restaurant served the worst noodle dish I ever had. Breakfast was average. Woud not book here again. We had a terrible experience at this hotel: no hot swater, even after 2 visits of technician and manager ; no cleaning of bathroom as promised by manager after the technician visit ; bed linen is very dirty ; internet not working ; dogs playing with hotel bins in the side of the garden, just behind the pool ; manager not helpful, not ready to listen and some arrogant. Condition of the hotel not as per the pictures of Agoda, looks much older in reality and not well maintained. It is shame given the price they charge, even at half price the service would not be acceptable. We really enjoyed our 2 nights at The Lakeside. 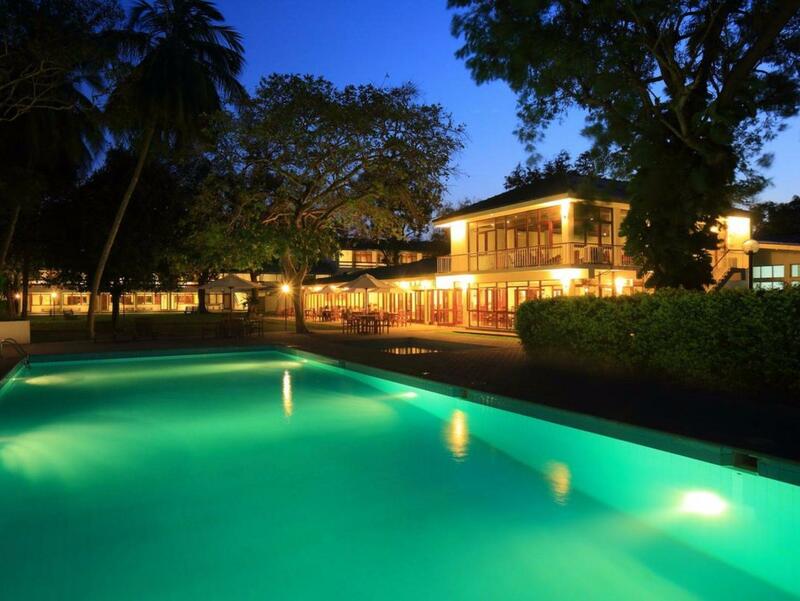 The staff were very friendly, the food was great, the bed comfortable and the pool was lovely! The rooms are nothing like the pictures shown. To start with, the shower doesnt have covers so the water goes everywhere in the toilet. The TV in the room is way too small for the room. I asked for a double room but got a room with two bed, how are couples supposed to sleep in two serparte beds? Then when I explained this to the desk, then they gave us a double room but with a tiny TV, the double bed was broken I think maybe that's why it was making noice every time we move on the bed, it was an isolated room, there is nothing in the mini bar, the toilet looks like accidently placed because when you take a shower the water goes all the places. The breakfast looks like a war zone. When there are lots of people staying for the long weekend why can't they have enough food for all? Everyone was running and fighting for food during buffet. No one was there to welcome us when we first came to the hotel, it was like you already paid so either stay or leave kind of vibe. At 10:15pm, after coming from visiting the main Siri Maha Bodhi Temple, there was no food at the hotel at 10:15pm, seriously where are we supposed to eat then? So we asked if they could make something for us we will pay? They were like Kitchen is closed. Then I asked we are new here to this city, could you kindly tell us a place to eat? They all were like no we don't know. So basically we went to a different hotel that night, thank god they still had buffet and was welcoming. Please for love of god upgrade your hotel, you charged us a lot of money and we didn't get our money's worth. Nothing special. No view. Room full of mosquitoes and no net. Nobody present at reception on departure. Nice pool and evening view of lake. Hotel is actually fine. Even considering prices you might have higher expectations. We do enjoy the garden and lunch. Please note that the wifi is only available at the reception and gets very slow specially at evening time due to many guest connected at the same time. Rooms are a little old and might need a touch of modernity. Even a/c is a old fashioned.